The vertical axis measures real income growth (measured in constant dollars on a purchasing power parity basis) between 1988 and 2008. The horizontal axis shows not time but income levels, from lowest to highest. 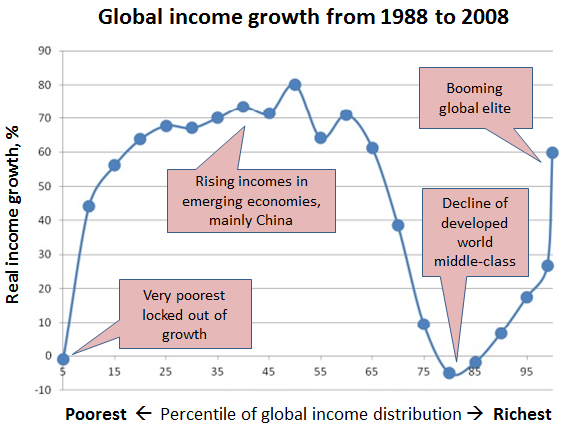 For example, the second dot on the chart marks the 10th percentile of income, meaning people who outearned just 10% of the world’s population; that group saw its real income rise more than 40% over that 20-year period.